Relationship between a Brother and a Sister is among the few sweet relationships in life that makes life more beautiful and meaningful. And Raksha Bandhan is the festival that pours extra sugar to this cherished relationship. It’s really amazing and overwhelming that a simple thread or ribbon symbolizes the togetherness between a Brother and a Sister, a typical of the rich Indian culture and tradition. 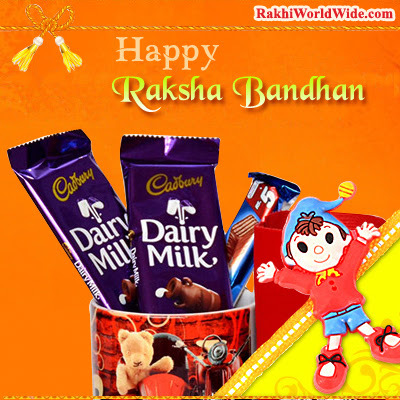 RakhiWorldWide.com is all set to celebrate this priceless relationship with the Online Catalogue of Rakhi Gift Ideas for both Brothers and Sisters all across the globe. 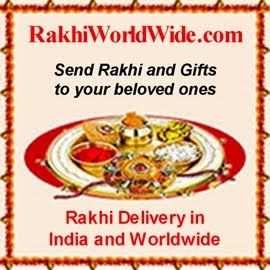 Sisters can Send Rakhi to India for their Brothers living anywhere in this country by using this Online Shopping Website from the comfort of their homes. This website maintains the high standard of its service with easy and user friendly browsing, tightly secured payment options, promised and dedicated Online Rakhi Delivery in India as well as for worldwide locations, and expert creative team to design Gift collections. This Online Shop unfolds its stock full of Fancy Rakhis, Designer Zardosi Rakhis, Thread Rakhis, Lumba Rakhis, Bhaiya Bhavi Rakhis, Kids Rakhis even Rakhis made of precious Gold or Silver metals, and many more mind-blowing and innovatively decorated Rakhis. You can send Rakhi Gifts to Brother in India as this website salutes this everlasting spirit, and to lighten the journey you and your sibling have been strolling together, offers the Gift ranges that will stand up to the traditional appeal of this auspicious event presenting the variety classes of Rakhi from the simple threaded ones to the precious metal stuffed ones, Bead and Stone studded Rakhis, Kids Rakhis comprising their favorite comic superhero like Ben 10, Spiderman, Chota Bheem, Mickey Mouse, Ganesha, Minion, Hanuman, Angry Bird, Doraemon, Bahubali etc. Auspicious Rakhis like Swastic, Om, Rudraksh etc. and several other array of innovative designed Rakhi Gifts Worldwide. Visit this website and shop for Rakhi Hampers, Mithai Hampers, Rakhi Floral Arrangements, Rakhi special Thalis for Bahiya-Bhabi, Rakhi Pooja Thali, Toys even from USA, UK, Canada, Australia or any other country. Your Brothers are eagerly waiting in India and Worldwide to put on the thread, only to realize the love and care you send through the Gifts. Food items like Chocolates, Cakes, Sweets, Fresh Fruits are the indispensables for any celebrated event, and Raksha Bandhan is not an exception here either. Food Hampers comprising Rakhi with Haldirams Sweets, Rakhi with Mixed Dry Fruits Platter and Rakhi with Assorted Chocolates are the definite ones to uplift the spirit of this unique festival. 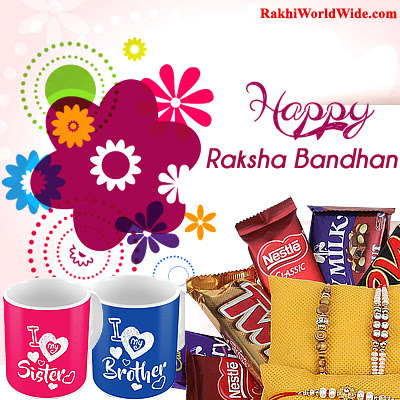 Brothers can also send Rakhi Return Gifts to Sister in India or Worldwide from this same website because this Online Rakhi specialist service provider maintains wide collections of Girl and Women specific Gift segments as well. Gift items that normally attracts Women from all age groups like Leather Items, Apparels, Gift Vouchers for discounted shopping and meals at leading outlets, Rakhi Thalis, Watches, Cosmetics, Perfumes, Jewellery, Electronic Appliances, Home and Kitchen Appliances, Personal Care Items and many more designer Gift crafts for this auspicious occasions.